Global Notes: Apr 2 Målfrid Braut-Hegghammer on "Bargaining in Baghdad: Iraq between the wars"
Apr 2 Målfrid Braut-Hegghammer on "Bargaining in Baghdad: Iraq between the wars"
From Minnesota International Relations Colloquium: As you may have noticed, this is a busy MIRC stretch. We are very excited to host Prof. Målfrid Braut-Hegghammer of Oslo University on April 2nd. Prof. Braut-Hegghammer will be presenting on "Bargaining in Baghdad: Iraqi signaling between the wars" and Robert Ralston will be providing discussant comments. You can find the abstract for the talk below. Prof. Braut-Hegghammer has also expressed her interest in meeting with graduate students, and we will be sending an email about that soon. The colloquium will be held in Lippincott Room, at 3:30-5:00 and coffee will be served. This paper explores Iraqi signaling after the 1991 Gulf War. Between 1991 and 1998, the Iraqi regime faced tremendous pressure to verifiably disarm of WMD. The conventional wisdom argues that Iraq sent mixed signals to the outside world due to Saddam’s desire to balance deterrence and compliance with Security Council resolutions. Still, little is known about Iraqi signaling: what messages the Iraqi regime wanted to send to the outside world, and why these appeared to be ambiguous. Drawing on Iraqi primary sources, I explore how Iraqi officials debated their options, crafted signals, and how they interpreted the reception of these signals in the outside world. These sources highlight the credibility problem Iraq faced, and how this shaped their signals. 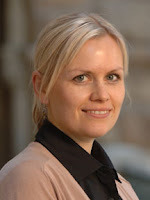 Målfrid Braut-Hegghammer is Associate Professor of Political Science at the University of Oslo. She has previously been a Junior Faculty Fellow at CISAC, Stanford University, and a pre- and post-doctoral fellow at the Belfer Center, Harvard University. She received her doctoral degree from London School of Economics in 2009, which received the Michael Nicholson Thesis Prize from BISA in 2010. She recently published Unclear Physics: Why Iraq and Libya failed to build nuclear weapons (Cornell University Press, 2016), which was reviewed in The New York Review of Books, Foreign Affairs, Survival, International Affairs, HDiplo, Babylon, and Internasjonal Politikk. Her work has been published in International Security, The Middle East Journal, the New York Times (online), International Herald Tribune, Monkey Cage and War on the Rocks.